I told him to take his property off the market. We’re in a time frame where home buyers assume (rightly or not) that if you’ve listed your home, you must be a desperate seller who is anxious to sell. And, what kind of offer do you make to a desperate and anxious seller? A low one. Low-ball offers have surged in popularity as home prices have continued to fall in value, days on the market have lengthened, and the inventory of homes for sale has swelled with foreclosures. While there is no one set definition of a low-ball offer, historically it is an offer to purchase that is at least 10 percent below the asking price of the home. Another feature of a low-ball offer is that typically sellers usually find them insulting (but that, of course, depends on just how desperate and anxious they are) and listing agents often have to plead with their clients to respond to the offer and engage the buyer. Third, low-ball offers can have a decidedly negative impact on the negotiation process. If you’re making a low-ball offer, the first thing you need to know is how much homes have sold for in the neighborhood. In the current environment, this is a harder task than it might seem. First, ask your agent to help you find out how much foreclosed properties in your neighborhood of choice have sold for. Next, you need to find out what kind of condition those foreclosures were in when they sold. A comparable property is not only similar in size and amenities, but needs to be in a similar condition to the home you want to buy. The problem with many foreclosures today is that the former owners have, in some cases, either stripped them clean or destroyed them inside. So you may find that a foreclosure sold for 20 cents on the dollar, but it might not be a good “comp” if you also find out that the house was stripped of all appliances, pipes, heating and air conditioning equipment, and other fixtures. Finally, you’ll have to look at homes that have been for sale for a long time, but that are not in foreclosure and have plenty of equity so a short sale isn’t needed. 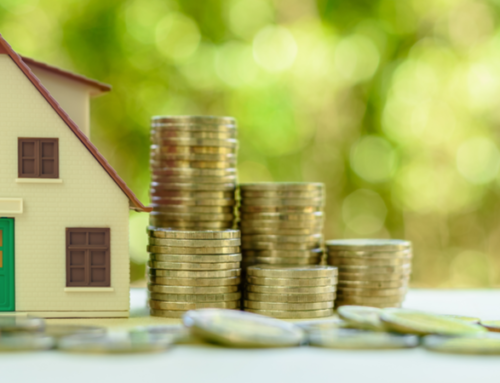 Once you’ve assessed the sales price of homes in these three categories, and you’ve found a house you want to buy, you and your agent can start to compare the prices of the “comps” with your property of choice. Once you decide how much the property should sell for, you can construct your offer. If you decide to make a low-ball offer, you should price your offer below where an offer based on the surrounding comps would be. But be prepared for a very negative reaction from the listing agent and her clients. Sellers in this market are already expecting a low offer. But no matter what their expectations are, an offer that comes in below that will cause them tremendous stress, as they decide whether to respond to your offer or ignore it. You should also take care when making a low-ball offer to a lender that owns a foreclosed property you want. Working with a lender on a foreclosed offer or short sale can take weeks, or even months. That’s plenty of time for the listing agent to continue to solicit bids on the property. Several readers have written complaining that the properties they thought they were negotiating for were bought by other people. These buyers were mad because the listing broker never gave them another opportunity to up their offer. But that’s the thing about low-ball offers. Sometimes they work and sometimes they don’t. But when they do work, you’ll get a property for an exceptional price.